Dr. Jon Faubion is the Charles Singleton Professor of Baking Science in the Department of Grain Science, Kansas State University. Over his 30+ year career, he has had the sole or shared responsibility for teaching 9 different cereal or food science courses at Texas A&M University, The University of Minnesota and Kansas State. In 2011, he received the Excellence in Teaching Award from the American Association of Cereal Chemists International. He is the author or coauthor of 82 refereed journal articles, nine book chapters and has advised or co-advised 38 M.S. and Ph.D. students. In addition to teaching and directing cereal science research, he serves as Undergraduate Scholarship Chair for the department. 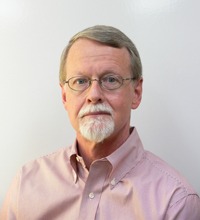 He is a senior editor of Cereal Chemistry and an executive editor of Journal of the Science of Food and Agriculture. He is a past recipient of both the Geddes Lectureship and the Scott-Blair award. Prior to rejoining the department faculty in 2005, he directed the Applied Technology and Sensory Science Groups for the research and development arm of The Schwan Food Company.